book , The Checklist Manifesto . There is no question that checklists can be very helpful. They are a systematic way of making sure that the medical staff is well organized , and that we do not overlook anything. 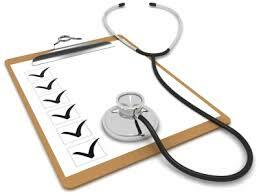 However, there is a hidden danger with using checklists in IVF. Lots of IVF specialists will routinely use checklists either at the time of consultation, or even before they see the patient. Typically, when the patient comes to the clinic, the interview is done by an assistant before the consultant comes in. At this point, the assistant will usually use a checklist and order a huge list of tests and investigations which every patient routinely needs to do. In fact, some specialists are so well organized, that their receptionist uses the same checklist and tells the patient to do these tests even before they come for the consultation, so that when the doctors sees the patient, they've already done the tests the consultant will need to see. For example, some IVF specialists will ask their patients to do a vaginal ultrasound scan before they will see them for a consultation. The tragedy with this particular approach is that consultants then end up treating the lab test abnormalities rather than the patient. They don't really bother about taking a history, or doing a clinical examination, because they feel that most of the medical information which they need to treat the patient is in the test results and the scan reports , rather than on a clinical evaluation. Specialists are notoriously myopic and organ focussed, as a result of which the entire clinical process has become distorted. In the past, the doctor would do a clinical evaluation, and based on the evaluation, he would formulate a provisional diagnosis; and he would then ask for specific targetted tests and investigations in order to confirm the diagnosis , or rule it out. Now it seems that the medical world is going topsy-turvy, and we are doing things in exactly the opposite fashion. The doctor will first look at the investigations, and use these in order to come to a provisional diagnosis , without even bothering to talk to the patient - often because history taking is a task which has been relegated to the junior most assistant . After all, how hard is it to ask a patient some questions, and then to record the answers ? This is tragic , and we end up losing a lot of valuable information during this process. While it's true that lab tests and scan results do provide useful insights, they have only a supplemental role to play, and it requires clinical experience and expertise to interpret these results. Taking these shortcuts can be extremely dangerous. Large busy IVF clinics will employ lots of assistants and use an assembly line method in order to see lots of patients quickly and efficiently. They actually end up practicing mindless , checklist - driven medicine, which is not good , either for the patient or for the doctor. The problem is that it's very easy for these large specialty clinics to print out checklists of tests which patients need to do. The moment this is done, the doctor then stops using his clinical judgment as to whether a particular patient needs that particular test or not. He has to follow the clinic routine blindly, which means he has to order all tests for all patients whether they need it or not. This ends up in a lot of over-testing - and even worse, it ends up resulting in a lot of over-treatment. This has also been aided by the fact that lots of diagnostic centers and laboratory chains now offer prepackaged fertility profiles and test packages . This means the doctor just needs to draw one blood sample , and multiple tests are done on this single sample. While this may be a lot more convenient for both the doctor and for the lab, it's not necessarily in the patient's best interest. This is because when a lot of tests are ordered, it's much more likely that there will be some abnormalities in a few of them. A lot of these abnormalities are of no clinical significance, and have no relevance to the patients presenting problem. However, once an abnormality has been picked up, the doctors is then obliged to evaluate it further. This means he then needs to do even more tests, or to refer the patient to another organ specialist. The patient then ends up going on a wild goose chase to fix his laboratory abnormalities rather than having his underlying clinical problem addresses. This can be extremely frustrating and wasteful as well. This is why checklists should be used with caution, to make sure that they are not misused.